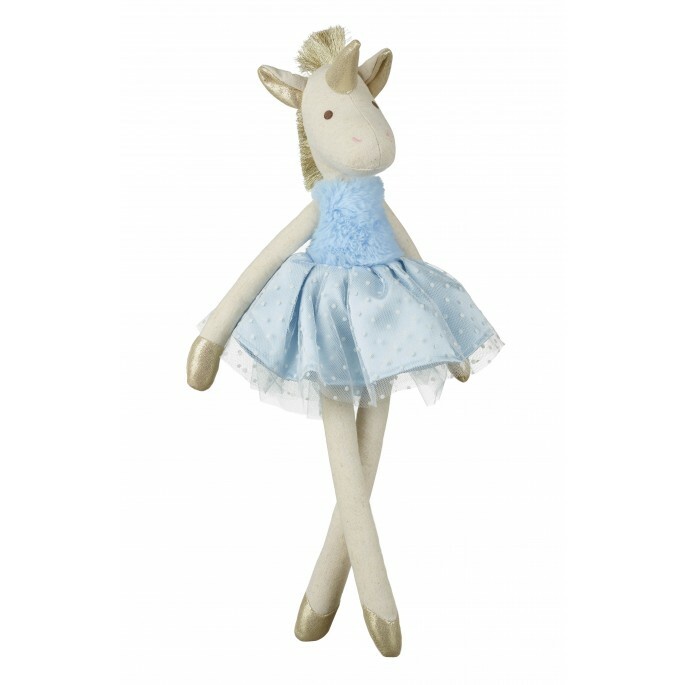 This glamourous Unicorn doll is full of sparkle, with her glittery golden mane, horn and shoes. Made from calico, she has a fluffy, soft body. 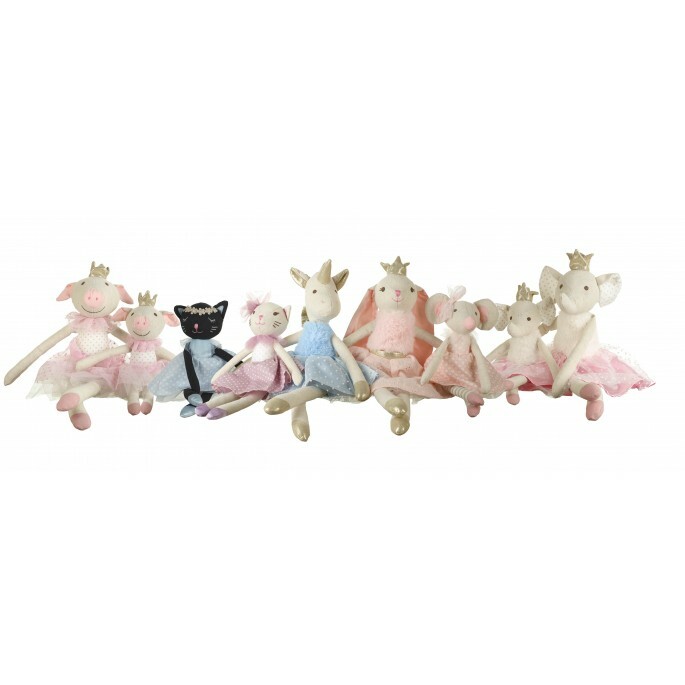 She is a lovely to cuddle, with her fluffy, soft body and silky skirt, which has a spotty lace overlay. Perfect for all ages, from new born and up!